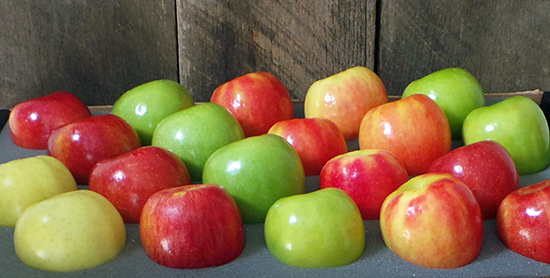 Mercier Orchards arrives at the market this week with the first Georgia apples of the season! The Breakfast Jeanie offers fast and delicious breakfast options in the greater Atlanta area. Our signature items are the Bacon or Sausage WafflePuffs! Firewall Food Truck’s 900 degree wood burning oven allows us to cook up fantastic Neopolitan style pizzas in mere minutes. Our Hot Itlalian sandwiches are right killer as well, and baked oysters, roasted wings, and various meats and cheeses are just some of the other tasty treats we’ve got aboard. Henry’s Farm Kettle Corn will be at the market this week. 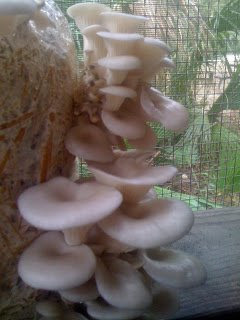 Matthew from Honey Creek Mushrooms will pay a special visit to the market this week. He will have his Certified Naturally Grown, Georgia Grown mushrooms, plus some fresh truffle from Italy. Stop by to say hello to Matthew and try his delicious mushrooms and mushroom products. Garlic Clove Foods will be at the market this week. Garlic Clove is committed to changing the world with a side dish by creating convenient, easy-to-prepare, quick-cooking foods that are also healthy and delicious. Garlic Clove Foods pilafs are made with their perfect original combination of 100% whole grains (quinoa, bulgur and millet), vegetables, legumes and natural herbs and spices.